Transform your swimming with the Tempo Trainer Pro from Finis. Learn to improve your rhythm, pace, and speed without sacrificing efficiency. The TT focuses you. The audible beep keeps your attention on each stroke you take and helps banish distraction. The TT improves your rhythm. Consistent rhythm is an essential skill of successful swimming. It’s also the quality that harmonizes the various elements of the stroke. The TT teaches unerring pace. Sense of pace is usually thought of as a trait you just have or acquire through endless repetition. The TT is a fast, and almost effortless, way to learn this critical skill. Just keep strokes per length (SPL) consistent and synchronized to the beep as you swim farther. If SPL and Tempo remain steady, so does pace. 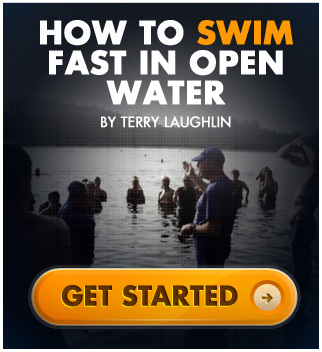 again make the mistake of thinking that how fast you swim depends on how fast you stroke. error you know in that instant, it will cost you an extra stroke—and extra second— when you reach the other end. You also learn that those tiny errors are almost always the result of a moment’s inattention. This is powerful motivation to stay focused. The TT lets you choose your speed with mathematical precision. First it gives you the physical ability to choose and improve your speed or pace. And that leads to the psychological sense that you do control that, which is priceless to confidence and motivation. The TT emphasizes the benefits of training the nervous system. When practicing with the TT, you learn how quickly your nervous system can adapt to the right stimulus.